To say the devil deceptively twists God’s word is nothing new. This was made clear when Jesus was tempted in the wilderness. At the conclusion of that account, the defeated devil departed until a more opportune time. Many point to Jesus’ trial in the garden as that more opportune time, as if that was the last time Satan tried. However, Satan never quits. This is evident when he misuses the teachings of Jesus to get Christians to remain silent today. 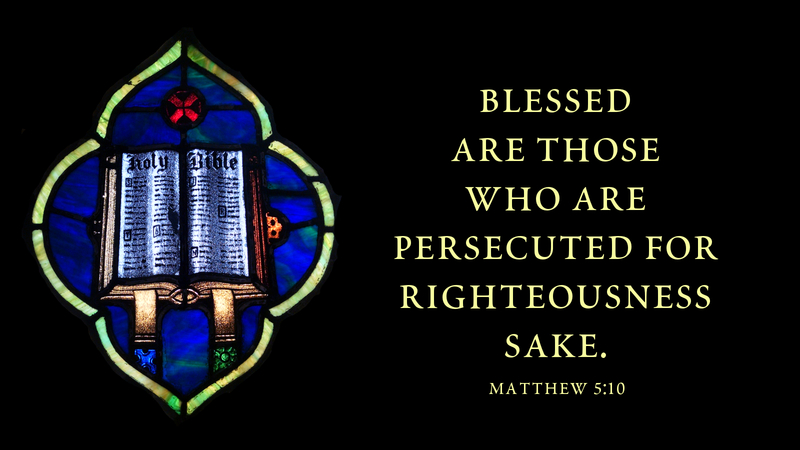 For example, Satan loves to turn the Beatitudes into an excuse for us to remain quiet about God’s love and mercy for the world. Political correctness says, do not share your faith; it might offend someone. Satan asks, how can you be a peacemaker if you cause trouble by being a witness? The world says, standing up for biblical values is confrontational. Satan asks, how can you be meek if you are confrontational? The problem is, we buy into these arguments because we failed to study God’s word so that we can answer Satan with God’s wisdom. “Study to show thyself approved unto God” (2 Tim 2:15). That is the best way to respond to Satan’s lies. Prayer: Heavenly Father, help us to faithfully study your word, that we may answer Satan’s lies with your wisdom; in the name of your risen Son our Lord. Amen. Today’s devotion was written by Steven King, pastor of Bethel Evangelical Lutheran Church, Lincolnton, NC.